While there are power rankings for different sports, we take a look at the power rankings for stars from a variety of sports. Who made the top 10 this week? Did Marco Reus' standout performance get him far? Did Lesnar's streak-beating performance put him up there? What about Mercedes' soaring Hamilton? Read on for the top 10 this week. This article is unlike any other. Whereas most power rankings focus on players or teams from one sport, we collate that all together and power rank the best sports stars from a variety of sports. The power rankings are released every Sunday and account for the week prior. There is no specific methodology. The power rankings currently are based on the top 10 athletes of the week. With a big week that included the second-legs of the Champions League final, T20 World Cup, WrestleMania, Bahrain Grand Prix and much more, a lot of people made their claim for power ranking consideration. 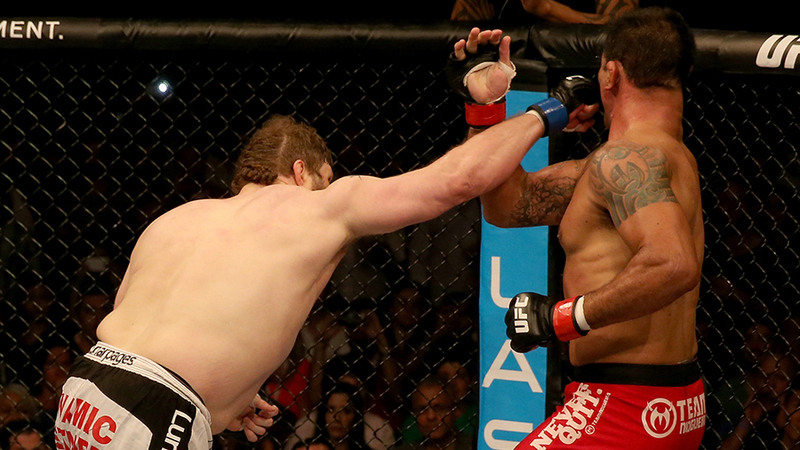 An emphatic knockout of Minotauro Nogueira in Abu Dhabi shows that "Big Country" still has it, and more importantly, has some dynamite in the right hand that was responsible for the first round knockout. The Filipono got vengeance over Timothy Bradley in a great fight on Saturday night. Pacquiao outboxed the American in a convincing unanimous decision win allowing him to broaden the horizons for future big fights. 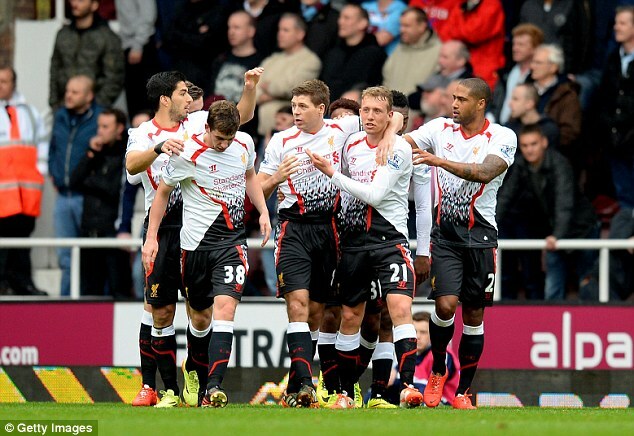 Liverpool's skipper scored twice from the penalty spot at Upton Park to sink the Hammers in a tough game for the Reds as they extended their league winning streak to nine games. WWE's Daniel Bryan made his spot worthwile in this week's Power Rankings after he won two matches on the grand stage of WrestleMania in New Orleans to lead himself to the WWE World Heavyweight Championship. YES! YES! YES! Dortmund's Marco Reus had an excellent week. Despite failing to qualify for the semi-finals, the German single-handedly put Real Madrid's hopes on edge with a double in the Westfalenstadion, and also contributed to his side's demolition of Champions Bayern at the Allianz Arena. Arsenal's second keeper stood in for the FA Cup semi-final, and it proved a decisive move for the Gunners as the Pole saved two penalties to thwart Wigan at Wembley, and more importantly send Arsenal through to the FA Cup Final on penalties. Sri Lanka's Sangakkara bowed out from his ODI career with a huge win for India in the Twenty20 World Cup final. In spite of poor scoring prior to the final, his unbeaten 52 runs from 35 balls would pay dividends as Sri Lanka halted India's prolific form. Chelsea's Demba Ba proved to be a super-substitute as his late strike would send Chelsea through to the semi-finals to sink Paris Saint-Germain. Jose Mourinho may have found a solution for his striker shortage. Lewis Hamilton marked back-to-back Grand Prix wins in Bahrain as Mercedes soared above in the rankings with a dominant performance that left the Brit to battle teammate Robserg for the win. "The Beast incarnate" did what no other man could ever do - at WrestleMania 30 Brock Lesnar put an end to The Undertaker's legendary 21 - 0 streak - sending shockwaves throughout the World. An unimaginable feat like that puts him atop this week's rankings. 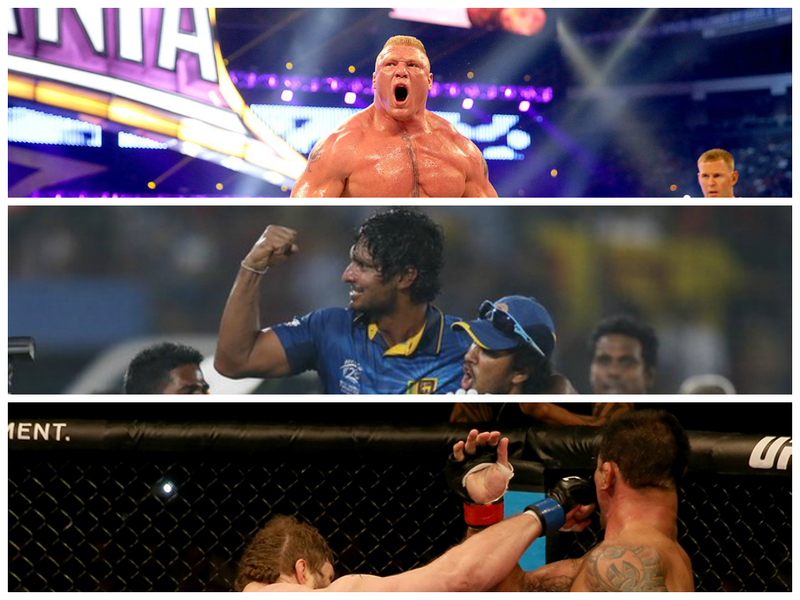 Brock Lesnar shocks, Roy Nelson rocks, Pacquiao win the war and Mercedes soar - that's all for this week. GET INVOLVED with your opinions, views and comments. Do you agree with these rankings? Who else should have made the list? Use the comments section at the bottom of the article, send us an email, Tweet us your views or post thoughts to our Facbook page. Power ranking the best sports stars of the week including WWE, F1, Football, Cricket and more from 6 - 13 April 2014.